He asserted that the Peace Ship’s expedition was successful on the grounds that it stimulated discussions about peace — and the press, upon his return, mostly agreed. The New York Herald wrote, “We need more Fords, more peace talks, and less indifference to the greatest crime in the world’s history”. 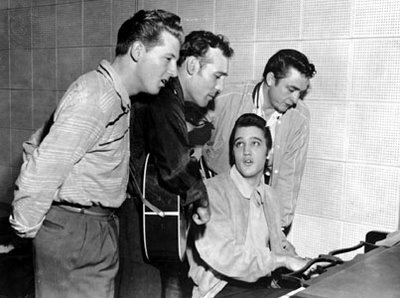 And, on this day in 1956, during a Carl Perkins recording session with Jerry Lee Lewis and Johnny Cash at Sun Records in Memphis, Elvis Presley visited the studio and jammed extensively while the tapes rolled. The four men become known as the Million Dollar Quartet, and the complete tapes from this legendary session eventually were released on CD 31 years later. HEAR one of the songs. And, Happy Birthday to actor Jeff Bridges, who turns 69 today. 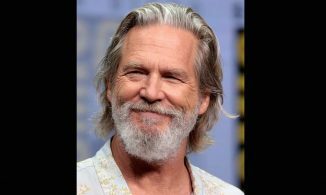 He starred as “The Dude” Lebowski in the 1998 cult classic The Big Lebowski and earned an Oscar for his role in the 2009 film Crazy Heart, which showcased his skill as a musician and singer.